Can I just say first, how gorgeous is that cover? 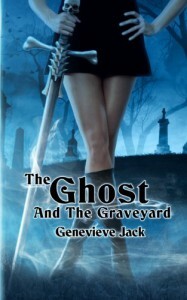 A refreshing new paranormal romance. A little bit of everything is included in this one. You've got ghosts, witches, demons, vamps and a new kind of shifter I've never heard of. There is a love triangle, but with a unique spin. I really enjoyed this book. The characters were great. I connected with them all. The writing flowed and it was exciting. A little snark and a couple of exciting twists! Rick is super HOT and a little scary. Logan was sweet and soft. A really unique premise that I loved! I can't wait to find out what the future holds for Grateful! I received this books from the author/publisher/tour company in exchange for an honest review.